The unit exterior stays cool to the touch even after long hours of continuous operation, thereby significantly reducing the risk of burns. 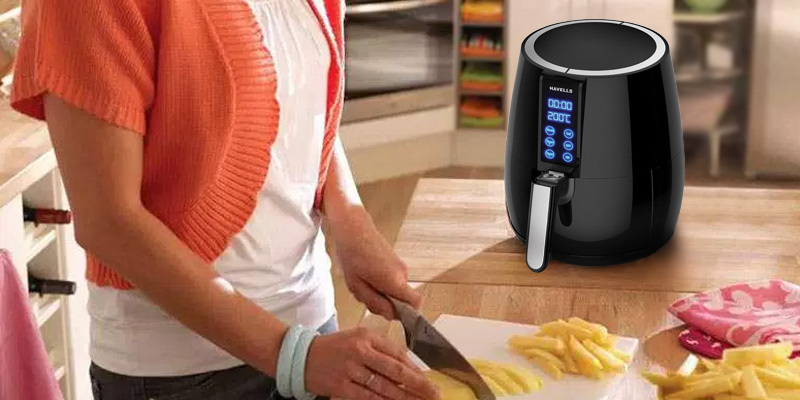 With this top-quality appliance from a renowned manufacturer, you will discover the varieties of tasty snacks and meals that can be cooked with less fat than in a conventional fryer, by using little or no oil. An excellent solution for those who try to keep their figure and stick to a healthy diet. The power of 1500 watts and a rather capacious basket allow cooking any foods in almost no time. A recipe book is not included. 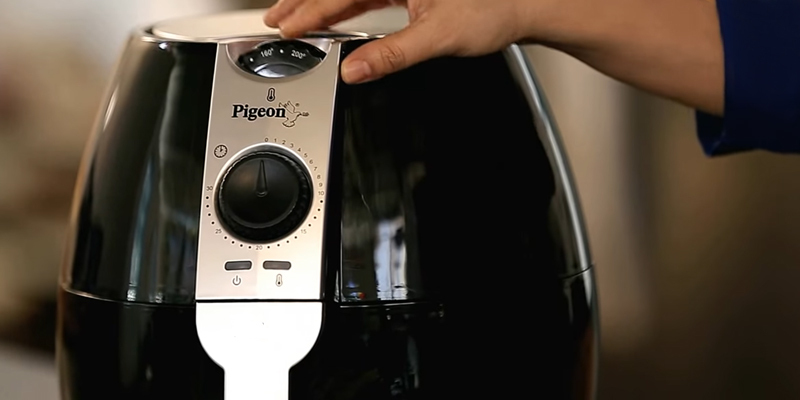 The Pigeon air fryer will take the strain out of numerous cooking tasks. No more tiresome and messy frying on the pan, skillet, or griddle. Functional and easy-to-use, it will add to your kitchen arsenal and help you diversify your daily menu with a range of scrumptious dishes. A built-in handle that doesn't heat up during operation allows a safe carrying of the appliance or moving it from one place to another even if the unit is still hot. The temperature control might seem a bit inconvenient. 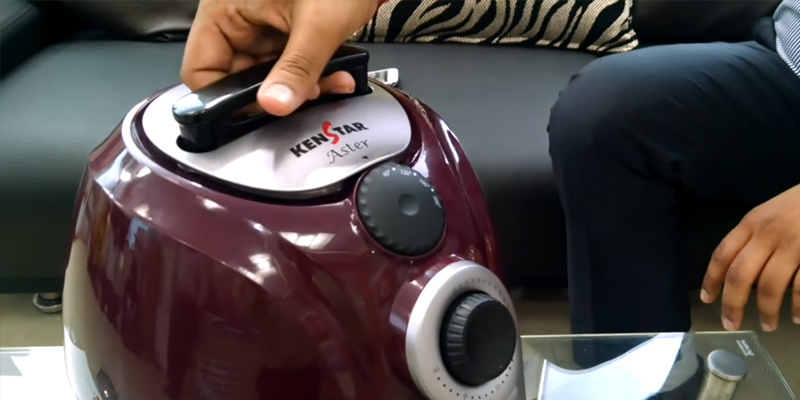 The Kenstar Air Fryer will once and for all break the stereotype that fried foods are harmful to the health. It will bring innovating cooking experience allowing you to fry delicious meals in a faster, easier, and healthier way. A 60-minute time control is a very helpful option if you want to pamper yourself and your family with mouth-watering sweet pastries. This model boasts impressive 4-litre capacity and will make an excellent option for a big family of 4 or more persons. Besides, you can cook multiple dishes at a time saving yourself a lot of time. Maintain a perfect balance between taste and health and enjoy your favourite snacks guilt-free! Air openings in the basket are specially designed for highly efficient hot air circulation inside the unit to evenly cook large or coarsely chopped pieces. The unit exterior might get rather hot. 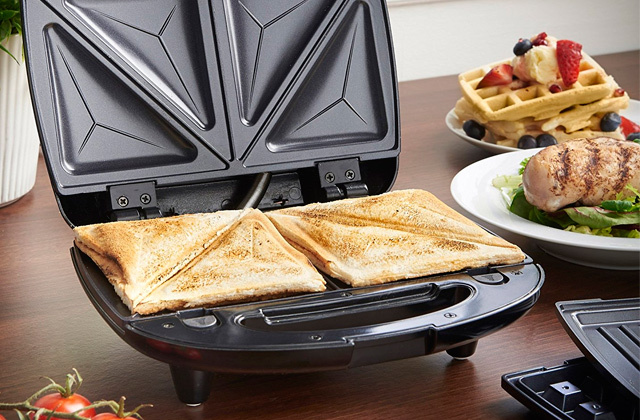 This simple, compact yet functional unit from Lifelong will make fried vegetables, roasted or grilled meat and fish, and even delight you with soft mouth-melting pastries. Making all the cooking job for you, it will greatly facilitate numerous culinary tasks and become a vital part of your kitchen's arsenal. Many people believe that fried food is harmful to your health due to a high content of fat and cholesterol. However, the Phillips Air Fryer readily breaks this stereotype. All lovers of crispy delicious finger chips, roasted chicken wings, or grilled lamb ribs, it is your high time to rejoice! 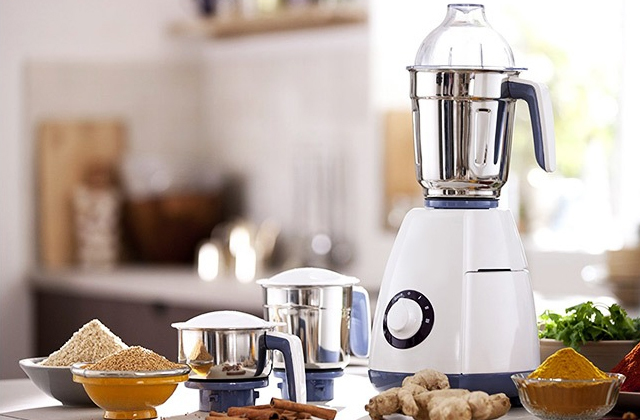 With this amazing Viva Collection appliance from Philips, you can enjoy your favourite fried foods without increasing your fat and calorie intake. Cooked in a new healthy way, the roasts will still have that nice golden crisp, appetising smell, and mouth-watering flavour that everyone loves about fried meals. Thanks to special cooking technology that needs only a minimum amount of oil, there will be no fat, grease, unpleasant odours, or irritating fumes when you cook. 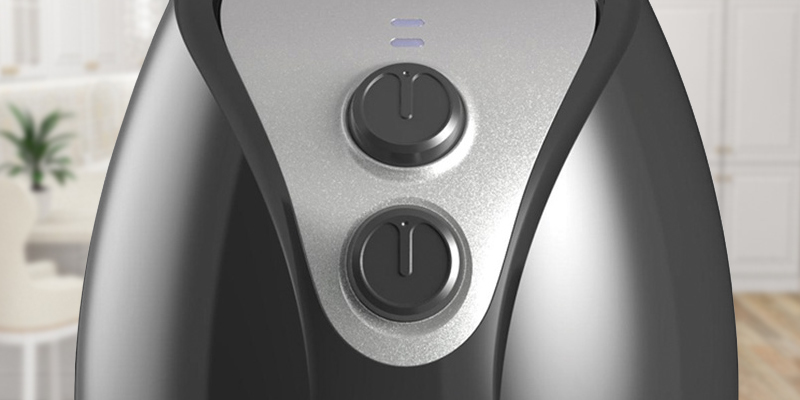 The unique Rapid Air™ technology efficiently distributes the hot air generated by the heating element, ensuring optimal heating profile for amazingly fast and efficient cooking. For example, 4 serves of finger chips with a total weight of up to 0.8 kg will be ready in 10-12 minutes. Fantastic performance! 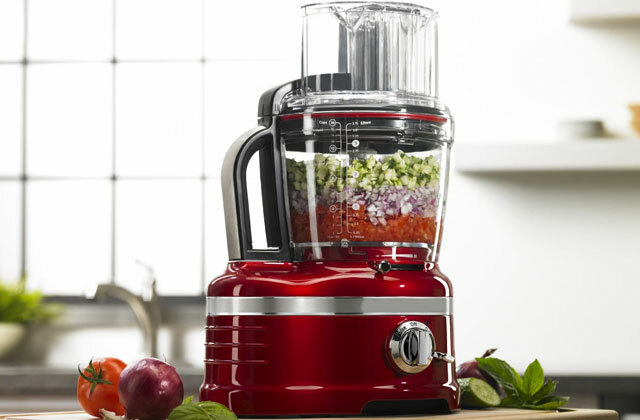 Other benefits of this model include an efficient built-in air filtration system, preventing food smells floating around your kitchen, as well as time and temperature controls, that will make your new kitchen helper extremely easy in use. The sleek exterior body of this appliance with a moderate black gloss finish will not only perfectly complement any kitchen interior but also delight the user with a hassle-free maintenance. 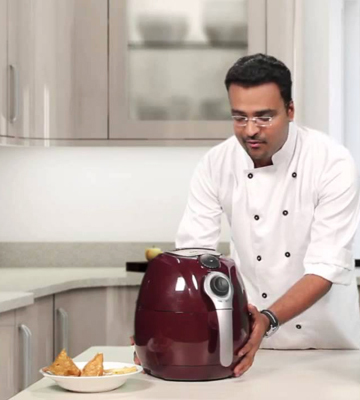 To keep the nice look of the Airfryer on the outside, simply wipe it with a moist cloth when you finish cooking. 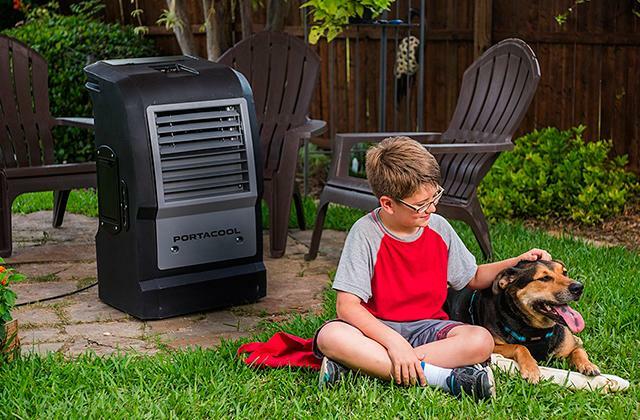 In addition, thanks to an efficient cooling system, the exterior and handle will remain cool even after hours of continuous operation. Hence, with no risk of burns, the unit will be absolutely safe to use! Even your teenage kids will be able to help you cooking or surprise you anytime with a nice delicious meal! 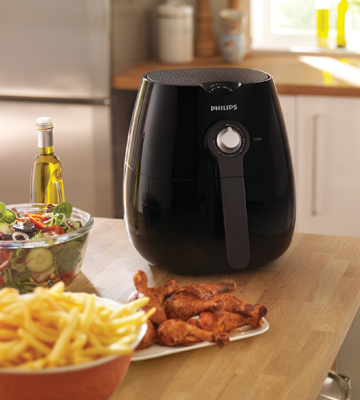 This model comes complete with a handy recipe book for you to experience the wide range of benefits of the Philips air fryer. The book contains a plethora of delicious recipes for chicken and fish dishes, spicy hors d'oeuvres, appetisers, tasty pies, and other foods you will be able to easily cook in this fabulous appliance. Yet, Philips offers more. You can find countless interesting ideas and get inspired to create your own culinary masterpieces by downloading a special Philips Airfryer App available for iOS and Android. The app offers not only comprehensive information on recipes but also detailed instructions and tips how to use the Airfryer. In addition, it allows sharing the photos of your appetising dishes with your friends in a single click. 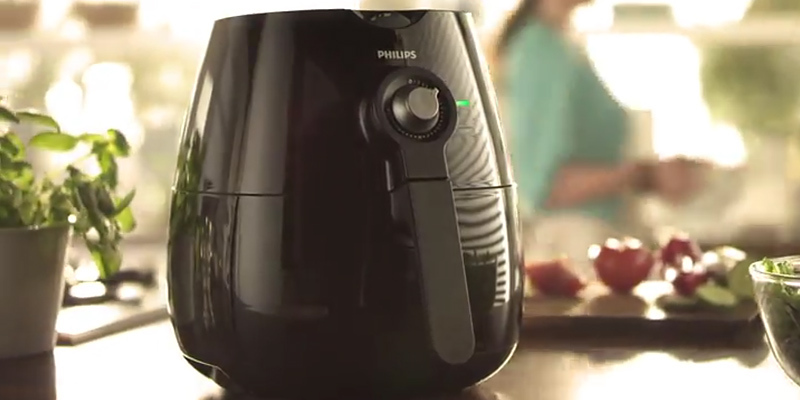 Good news for all experienced and novice bakers is that the Philips air fryer not only fries, roasts, and grills but also bakes a variety of pastries such as biscuits, cakes, pies, and muffins. Muffins are one of the world's most popular dessert. These are lovely small cupcakes coming in a savoury variety of flavours. To give your muffins a uniform round shape, use special muffin pans. With the Philips Airfryer, you will be able to bake deliciously soft muffins in almost no time. 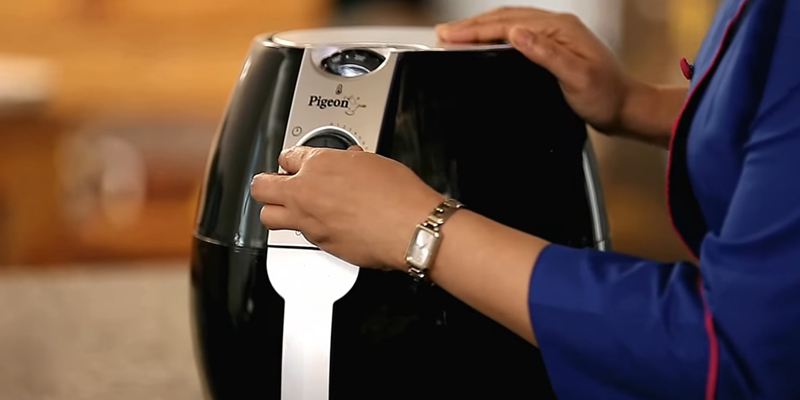 Replacing deep and shallow frying methods with healthier airfrying, the Pigeon air fryer is an incredibly powerful cooker that will help you add versatility to your daily menu. This simple at first sight unit will prove to you that baking and frying can be done without much supervision. To start with, the unit offers extremely easy intuitive controls. 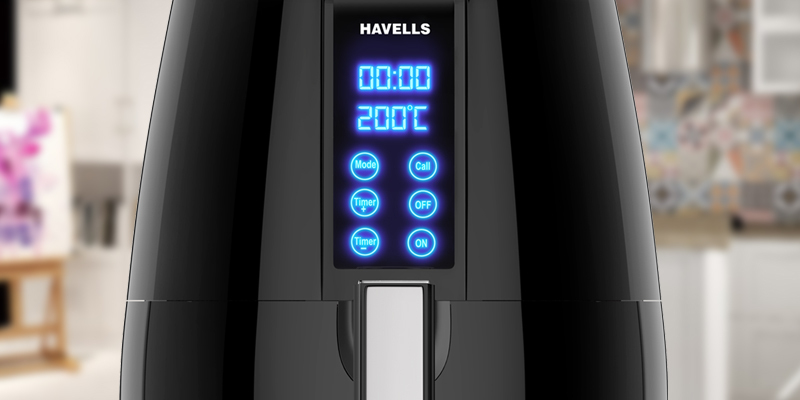 The front panel, features only two control knobs: one goes for temperature control (in the range from 80 to 200 C) and the other allows setting cooking time up to 30 minutes. Excessive fat and oil will drain into a special tray under the pan to give you healthier yet still tasty dishes. Airfried foods ideally fit into the concept of healthy eating and will have no adverse impact on your curves. 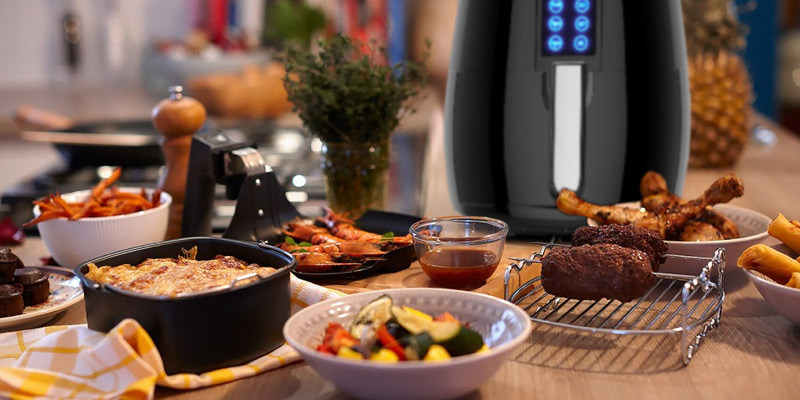 Minimising oil intake and fat content without compromising the flavour, the Pigeon air fryer busts the myth that delicious food is always unhealthy. The unit's safety is also up to the highest mark. The exterior doesn’t heat during the operation. Meanwhile, non-slip feet will prevent the fryer from skidding over the tabletop. The Pigeon offers excellent options for cooking anything your heart desires. It can make any dish from the world's most popular foods to traditional Indian recipes and diverse vegetarian meals. The potential variety of dishes is almost unlimited and includes finger chips, roasted chicken wings, sausages, pork ribs, and apple pies, samosas, vada, paneer rolls, Pakoda, Chakli, Tawa fry, chicken tandoori, grilled prawns, etc. The instruction manual coming in the package contains not only detailed information on the unit's operation and maintenance but also helpful tips on cooking temperatures, and times for different foods and ingredients. Whether you bake potatoes or cakes and muffins, fry some snacks or roast pork belly, you will get excellent results in your every cooking endeavour. The pastries will be soft and fluffy, while the meat will be thoroughly cooked in the middle and appetisingly crispy brown on the outside. Besides, for your convenience, the manual contains a table with minimum and maximum weights of ingredients you can load into a 3.2-litre basket. Feel free to experiment with the Pigeon cooker, and always be sure in the best cooking result! 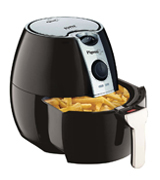 Many users wonder when it is the right time to load the ingredients into the air fryer. Pigeon provides an incredibly simple yet smart solution. You will easily notice a Ready indicator on the front panel letting you know that the unit is heated to the optimal cooking temperature. All you need to do is switch on the device, set the temperature in accordance with your recipe, and set the timer for 3-5 minutes. When the indicator light turns off it’s time to load the ingredients into the basket. As simple as that! As a result, you will have well-cooked fish or meat steaks juicy and tender from the inside with a lovely golden crust from the outside. To cut freshly baked pie or grilled chicken breast to fine slices, opt for an electric knife. One of the biggest advantages of the Pigeon air fryer is a very powerful 1500-watt heating element that will quickly heat up to the set temperature and ensure really fast cooking. A Super Air Engineering technology efficiently distributes the air inside the basket for uniform cooking and gives your food the same incredible taste and texture that ordinarily only deep-frying does. Only a fraction of oil is needed to cook your favourite fries, chips, crispy chicken wings and other yummy snacks commonly considered rather fatty and harmful to your health. From now on, you can eat those delicious fried foods guilt-free. 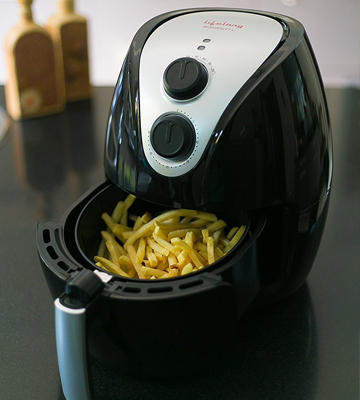 Unlike in conventional deep fryers, the excessive oil generated when cooking in the air fryer will be drained to a special oil tray. Hence, each time, you will benefit from scrumptious oil-free meals. The cooking basket boasts non-stick coating that prevents foods from scorching or overdrying as well as preserves their appetising look, tender texture, and nice flavour. For your convenience, the basket is made to be dishwasher-safe. So, cleaning won’t be an issue! The Dual Indicator in the Aster Fryer is the smart feature that will let you know when the unit is switched on as well as when the heating mode is activated. In addition, the device boasts a smart sensor that stops operation when a food basket is open. Not only can it fry and roast but also it will nicely warm up your pre-cooked foods if needed. 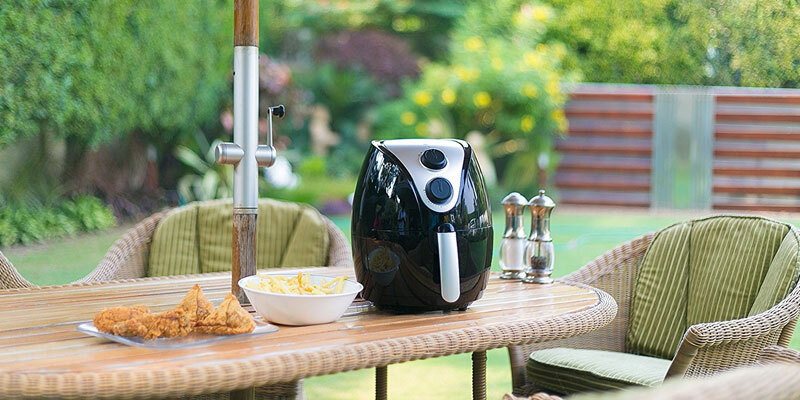 Unlike a microwave, the air fryer keeps the nice crispy texture of your foods when reheating. 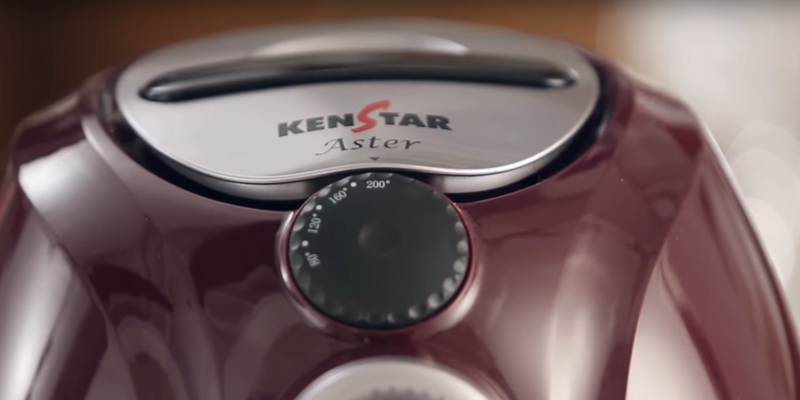 The Kenstar Aster is a great choice for all health-conscious snack lovers. You can make fried foods that are good both to your taste buds and to your body. For easy unit carrying, transportation, and handling, this model comes equipped with a convenient handle hidden on the top of the body. The handle remains cool during operation and allows you to relocate the device without waiting until it cools down after cooking. When not in use, you can push the handle inside to make the unit look sleek and compact. For added user safety, the handle on the cooking basket remains cool as well throughout the operation. So, it will save you the trouble of using pot holders and prevent burns. Sometimes, we are too busy to cook a substantial dinner. This is where the Kenstar Aster will become your best helper. A 1500-watt heating element gives it enough power to cook very quickly. Thus, a load of fried potato chips will be ready in about 10-12 minutes. Meanwhile, you will be able to find a huge number of recipes and culinary ideas on the manufacturer's web-site or in a special app for iOS and Android. Improve your culinary skills in no time and pamper your loved ones with scrumptious meals. The Kenstar instruction manual contains a detailed guide on maximum ingredient load for superior cooking results. Needless to say that it’s rather hard to measure the weight by eye. This is where kitchen scales will come in handy. With good scales at your disposal, you’ll be able to accurately follow the recipes and precisely measure the foods to control the portion size. When choosing a cooker that will cater to all of your kitchen needs, you usually check its power, safety features, and some usability options for quick, efficient, convenient, and safe cooking. However, if you have a big family, the unit capacity also matters. 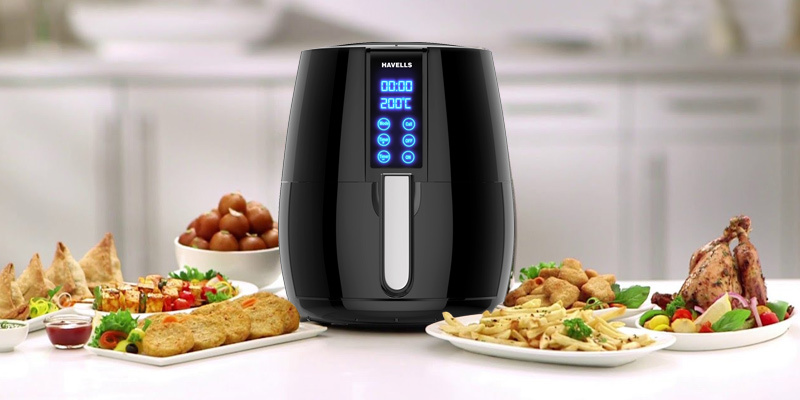 The biggest advantage of the Havells air fryer that makes it a real catch for families of 4 persons or more is a capacious 4-litre cooking basket that allows loading up to 1.3 kg of ingredients at a time. It’s really great when you need to cook a dinner or a quick meal for the whole family or when the guests are on the way. The power of 1230 watts is more than enough to cook a big portion of your favourite snacks and delicacies quickly and with absolute ease. The unit design is thought out to every tiny detail for safe and hassle-free cooking. Non-slip feet ensure the stability of the device and prevent skidding while a basket handle remains cool to take out the hot basket without the risk of burns. The cooking basket is made of lightweight yet durable aluminium and features a non-stick coating for no-scorch cooking and no-fuss cleaning in a dishwasher. In addition, an innovative air filtration system will prevent food smells and odours permeating over the kitchen and house even when you fry a full load of French fries or roast several portions of meat with garlic and herbs. Unlike most other models equipped with mechanical control knobs, dials, and push buttons, the Havells offers a digital control panel. An ergonomic LED display is illuminated with a nice blue light and features current time and temperature settings. 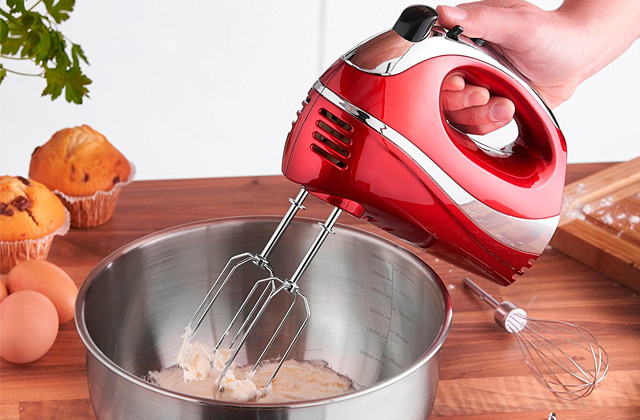 In addition, this model boasts the option of setting the cooking time up to 60 minutes that is twice the time offered by most other models and is perfect for baking all types of pastries. Cooking Two Dishes at a Time? No problem! The Havells comes complete with a special basket separator allowing you to cook two different dishes simultaneously. What a helpful little bonus! You will save a lot of time on cooking and have a chance to taste two yummy treats at a time. 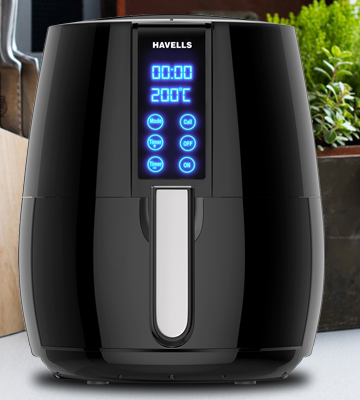 With Havell air fryer, you will serve a substantial hot dinner for the whole family in a breeze! 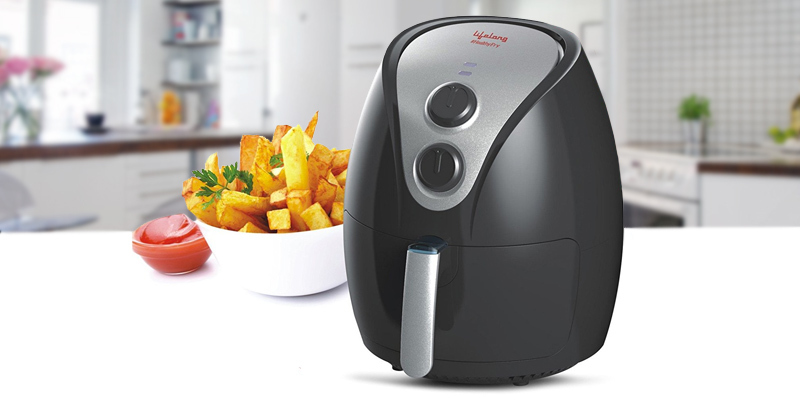 The simplest and tastiest dish you can cook with an air fryer is the world's most loved finger chips. Of course, you can buy a pack of pre-cut frozen potato chips in the store. However, with a Food Processor, you’ll be able to cut potato chips at home in no time and cook even more delicious finger chips from fresh non-frozen potatoes without any additives or conservatives. Trying to stick to a healthy diet but still can’t resist your fried food cravings? With the Lifelong, you don’t have to give up your favourite fried snacks. Instead, you can enrich your healthy menu with fried veggies, crispy potatoes as well as meat, poultry and fish roasted to an appetising golden crust with only a drop of oil. As a result, the fat content in the air-fried foods is about 80% lower than in conventionally-fried or roasted foods. 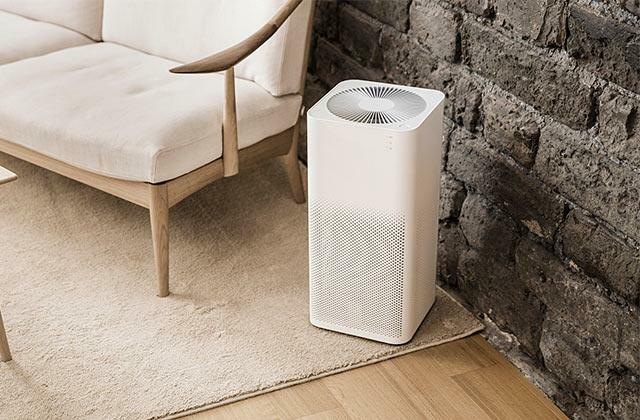 The Lifelong stands out for its compactness. Thanks to a 2.6-litre cooking basket, it won’t take up much space in your kitchen while the capacity is enough for a family of 2 or 3 persons. 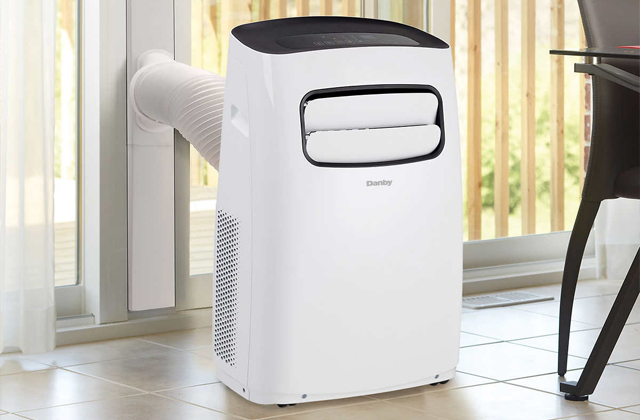 Yet, the compact size in no way compromises the unit's performance. 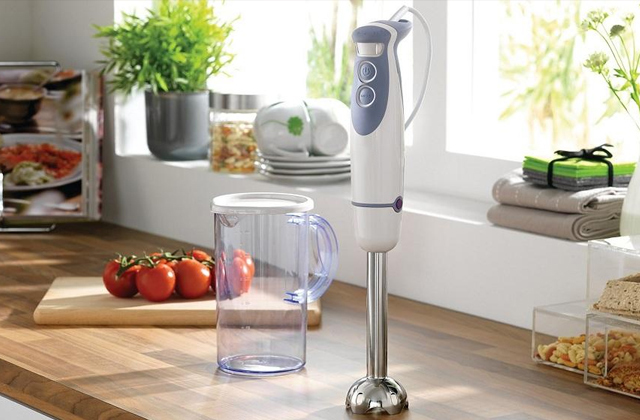 The device features an impressive power of 1350 watts and cooks as fast as larger models. The round design and special air outlets in the bottom ensure optimal, smooth, and even air circulation for better cooking. The foods will be juicy, soft, and tender from the inside with a nice crunchy crisp from the outside. A baking option will be highly appreciated by any pastry lover or baker. With this cooker, you will get delicious evenly baked cakes, biscuits, pies, quiches, or muffins in a fraction of the time. As compact as it is powerful, the Lifelong air fryer will definitely add versatility to your menu and functionality to your kitchen arsenal. This model allows you not only to cook but also to reheat precooked food and defrost frozen foods. Thanks to efficient hot air distribution inside the unit, it will evenly reheat your meals or perfectly defrost foods for further cooking. Simply set the temperature to 150C, select the time from 5 to 10 minutes and let the unit do its job. To speed up your cooking and save your time, cut ingredients into small pieces. But be cautious, too small pieces may get too dry when cooked. Try to avoid cooking excessively fatty foods in the air fryer, such as bacon or sausages. Though you can fry potato chips with no oil, it’s advisable to add a tablespoon of oil to make them crispier and more flavourful. Note, that olive oil is considered to be not only tasty but also healthy. When you cook finely cut ingredients, it is advisable to mix them from time to time to get well and evenly-cooked meals. However, avoid doing it too frequently since it will significantly prolong the cooking time. Even if you prefer to cut your ingredients into thick large slices or pieces, they will always be well-cooked from the inside, thanks to special air circulation inside the basket. Meanwhile, a good Knife Set and high-quality Cutting Board from our reviews will help you cope with any cutting tasks. If you cannot imagine your life without crispy fish and finger chips, it’s time for you to give a sigh of relief and enjoy their new and healthier taste. No more harmful fat content, revolutionary air fryers are designed to fry all sorts of food without adding even a drop of oil. 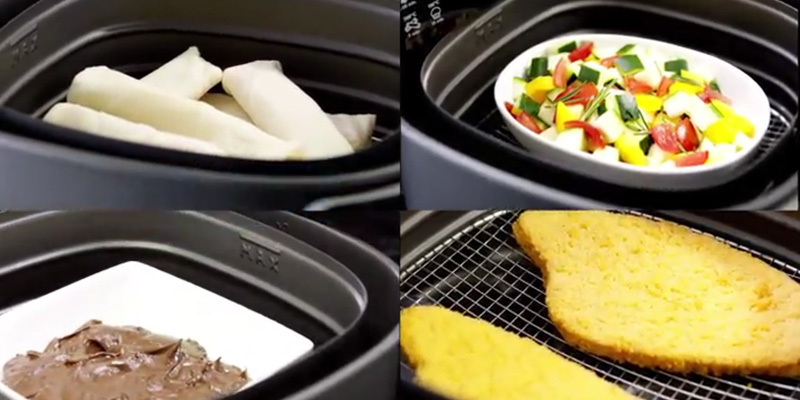 You can cook anything you like in the air fryer, including vegetables, chicken, cakes, or fish and finger chips. Now you can be sure that your favourite meals will not only taste as good as they used to (or better?) but will also help you keep your cholesterol level under control. Sounds wonderful, isn’t it? Air fryers confidently replace conventional ovens and become truly irreplaceable kitchen appliances for those who care about their health and diet. In our review, you’ll find the best carefully selected models to choose the one that suits your needs. 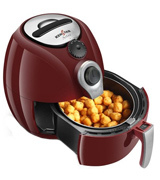 Compact, big, powerful and energy-saving air fryers will please your taste buds with crunchy, delicious food without adding a single inch to your hips or waist. If you are keen on healthy and efficient cooking you may also be interested in reading our review on rice cookers. High-performing units can significantly save your cooking time, delivering mouth-watering crispy food literally in minutes. Yet, it is likely to consume a little more energy. Capacious and powerful models will come in handy for those customers who have large families, like to invite guests, relatives, or neighbours for a friendly dinner and treat them all with delicious fried food. And why not if the air fryer comes up with healthy meals that contain eighty percent less fat compared to the food prepared in a frying pan on the stove? There’s always an option to go for something in-between and choose an appliance with an average capacity to hold just enough food for your family needs. This would be an ideal option for those who enjoy having fried food only on special occasions. 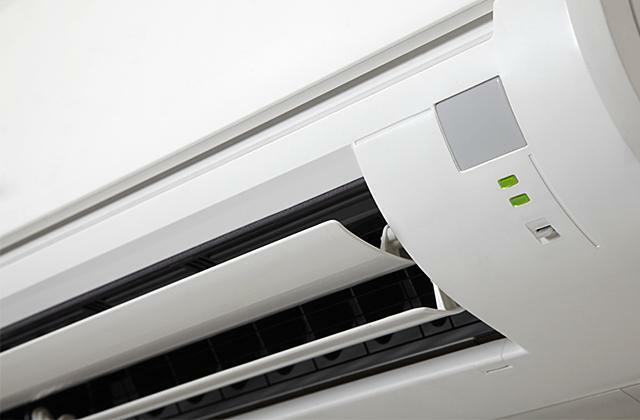 Different appliances feature different operation modes and therefore can be used for different purposes. Some devices may need just a bit of oil while others can cook without any oil at all. Aside from these features, there is also a wide range of programmable settings used for cooking various meals. Some models allow users to defrost the food, considerably reducing preparation time, while others can be used to quickly warm-up already prepared meals. 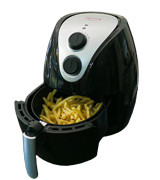 Quite often air fryers can be used to prepare several meals at a time. To make that possible and your cooking easier, manufacturers provide diverse racks, trays, layers, etc. 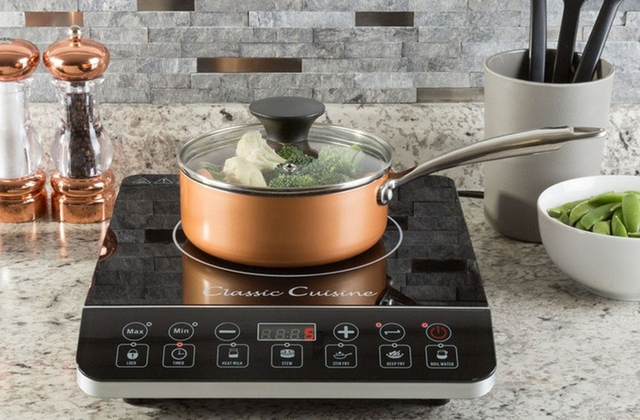 Hopefully, any lover of tasty and healthy home-cooked meals will find an ideal appliance among the models we’ve selected in our review and will start enjoying the cooking experience anew. Q: What are the major benefits of cooking in air fryers? A: Using hot air circulation to cook food thoroughly inside and outside, air fryers are all about healthy and fast cooking. When you cook in the air fryer, you can still get that appetising golden brown crisp everyone loves but with almost 80% less fat. 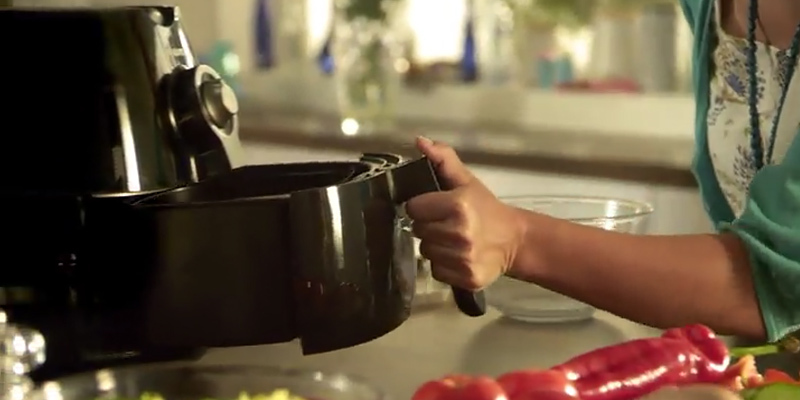 Cooking with no to little oil, this handy appliance truly offers tremendous health benefits. Add to this saving money on oil and saving time on cooking and you’ll get an unrivalled cooker. Another undoubted advantage of the air fryers is fast cooking. They can cook quickly and evenly sealing most nutrients inside the foods, preserving most minerals and vitamins. 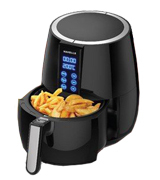 With air fryers, delicious healthy fried food is not a dream anymore! Q: Does the food fried in this cooker is as crispy and tasty as the food fried in deep fryers? A: We must admit that nothing can beat the crisp crunch and savour of fried foods from deep fryers. However, the food cooked in a great amount of oil is far from being healthy. Air-fried food tastes a bit different but still good. With all the incorporated health benefits and without a bitter taste of guilt (because of eating fatty high-calorie foods), it should taste even better. As for the nice crust, you’ll have it. The food is crispy from the outside and soft from the inside without grease, fat, and bad odour. 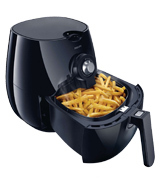 Q: What else besides fried food can I cook in this appliance? A: Though everything depends on the model you choose, usually, the choice is not limited to frying. You can cook a wide variety of meals using different cooking techniques including grilling, roasting, and even baking. The possibilities are practically unlimited. Q: Can I use baking foil or paper when baking in the air fryer? A: It is allowed to use aluminium foil or baking paper. The only strict requirement is to leave enough space for hot air circulation. 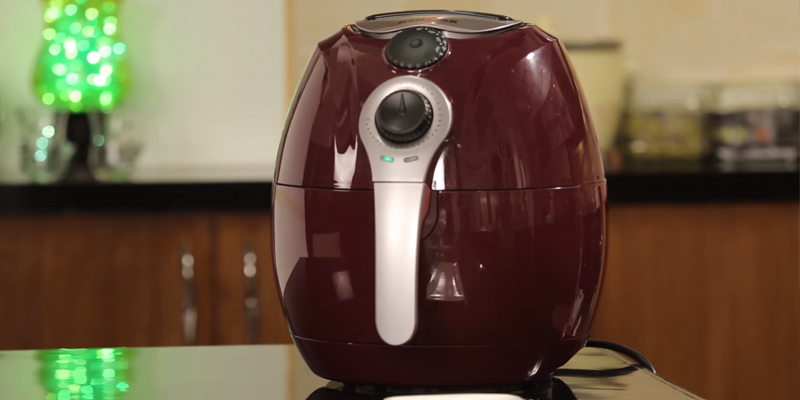 Q: Do I need some special oil to cook in the air fryer? A: Normally, you can use any type of oil. However, it is recommended sticking to traditional oils like pure olive oil or vegetable oil. Q: How to clean air fryers? Since these are electric appliances, hence, no immersion in water is allowed. 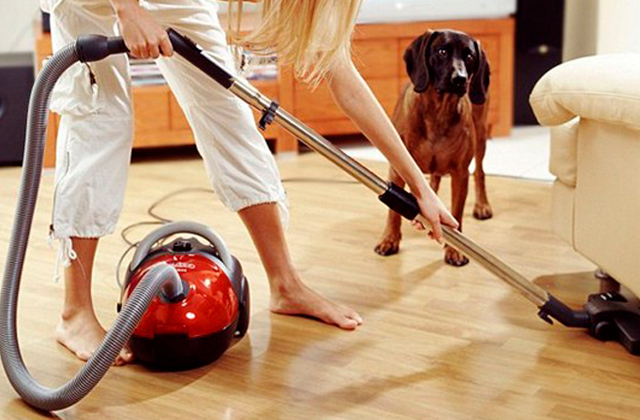 It is necessary to avoid abrasive materials for cleaning. Use the moist cloth to wipe the outside of the appliance and either a soft sponge or soft to medium bristle brush to remove the food residues from the inside. The pans, baskets, and trays are usually dishwasher-safe but you can wash them with soapy water as well. Q: Are air fryers safe to use? 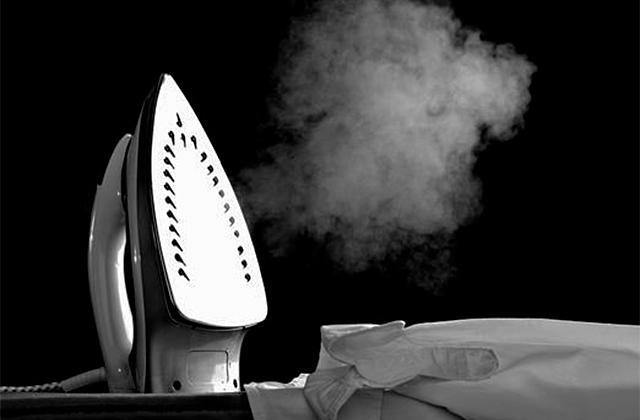 A: Though this kitchen appliance uses hot air to cook, it is absolutely safe to use. Thanks to an efficient cooling system that is automatically activated inside the fryer, the exterior of the appliance remains cool to the touch. Besides, there are no hot oil spills when you cook preventing the risk of burns. 1. Corinna Horrigan Air Fryer Buying Guide, Choice. September 30, 2015. 2. Air Fryer, Wikipedia. October 30, 2016. 3. 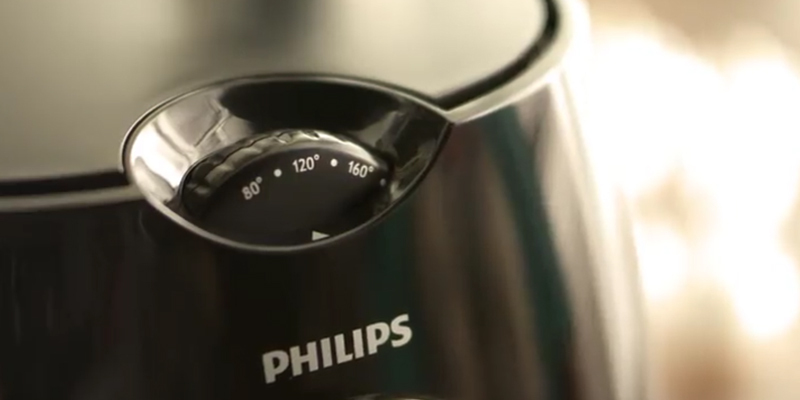 Kate Halse Deep Fryer vs. Air Fryer: Which Is Best? Heavy. April 15, 2015. 4. Buying Guide To AIR FRYER. Now Say Yes To A Healthier Lifestyle! CASH KARO. 5. 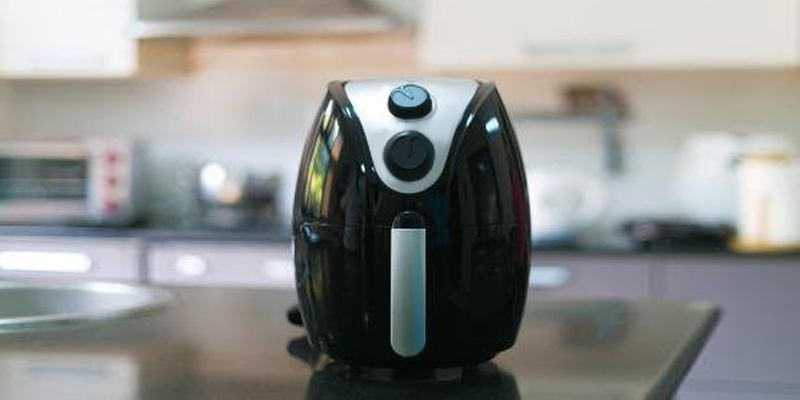 Laura Morelli The Surprising Benefits of an Oil-free Airfryer, OVER SIXTY. February 6, 2016. 6. Beta Yee Factors to Consider Before Buying an Air Fryer, LinkedIn. August 3, 2016. 7. 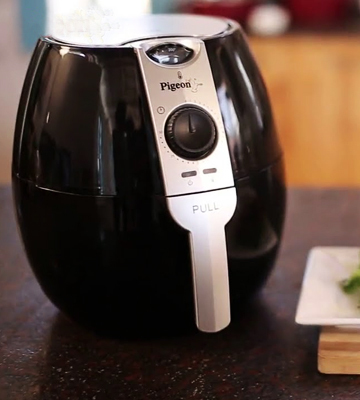 How You'll Benefit from an Air Fryer, air & water. 8. 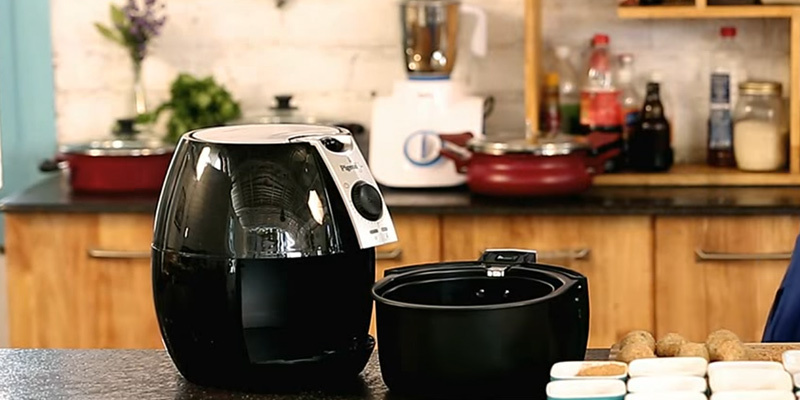 Jane Anderson Health Benefits of Air Fryers Explained, Blogtrepreneur. 9. 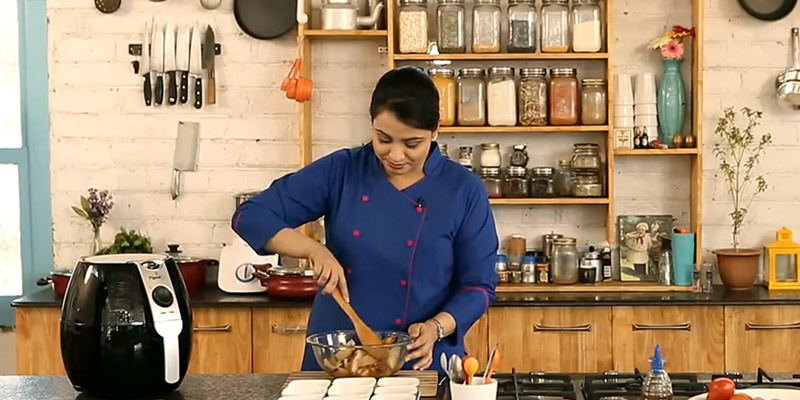 Darshana Thacker Expert Tips on How to Cook Without Oil, FORKS OVER KNIVES. August 16, 2015.